Generally, this involves installing vented openings in a cross-sectional area equal to 1/150 of the floor area served. In recent years, however, these codes are quickly changing to reflect improvements in the industry and formal scientific study. Engineers and building scientists are becoming more and more aware of how crawl space humidity really works in a home, and are taking steps to stop the practice of venting crawl space environments. 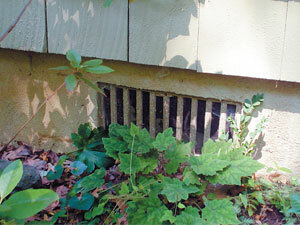 Advanced Energy reports that crawl space ventilation brings wet air into your home when it's wet outside. Water that is pooling around your vents, will also flow into the space. Summer Air - Hot, humid air enters the crawl space, where the earth cools it naturally. According to Builder Magazine, this humidity will lead to condensation on your pipes, wood, and cool surfaces, leading to mold and rot. 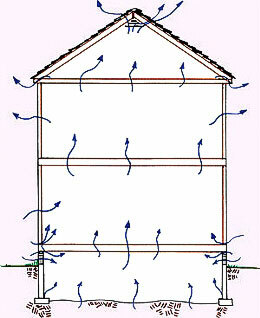 Damp air rises upward into your home. Wet air is harder to cool than dry air, and you spend more on utilities. Meanwhile, your crawl space insulation gets wet, loses its insulative value, grows mold, and drips to the floor. Moist, rotting wood is a perfect place for termites, ants, rodents, and other creatures to move in! This keeps everything you don't want in your crawl space outside- including moisture, cold air, termites, and ants. Your crawl space will be dry and usable as storage space, and as an added benefit, a crawl space liner will even serve as a passive radon mitigation system! Silver River Basement Systems would like to help you create a dry, healthier crawl space. If you'd like a free, on-site consultation, call or e-mail us today! 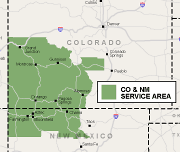 We service Colorado & New Mexico, including Greater Grand Junction. 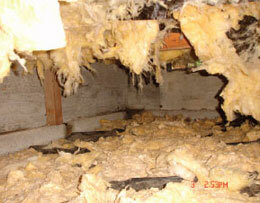 More information about Crawl Space Vapor Barriers.